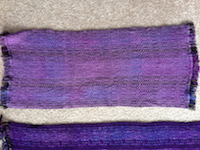 Yarns: Warp: Dragon Tale 5/2 Rayon and Rayon Slub painted warp; Weft: 5/2 Dragon Tale Rayon (various colours). 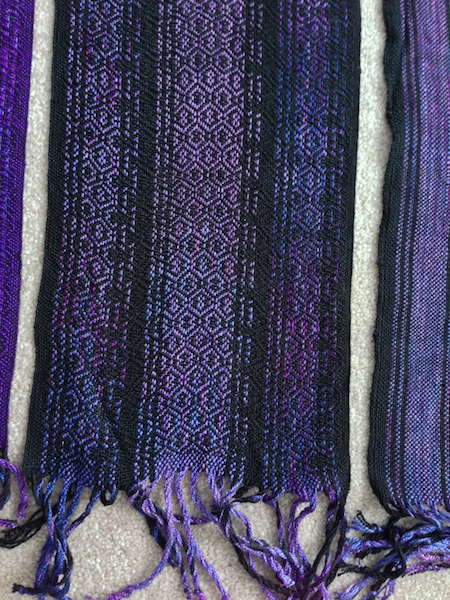 The kit says that you can weave three 78" scarves. 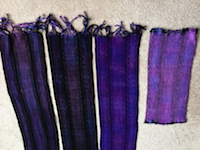 I wasn't sure how wasteful I'd been in getting it on the loom, so I opted to weave the scarves to 75" (on loom), and then had enough left to play with a 4th piece. 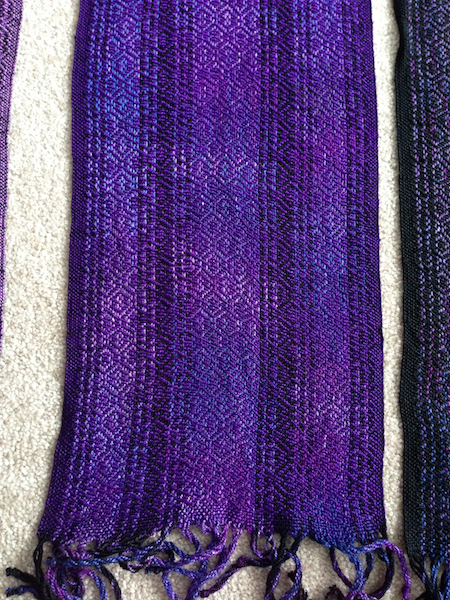 I'm choosing to think of it as a table centrepiece. 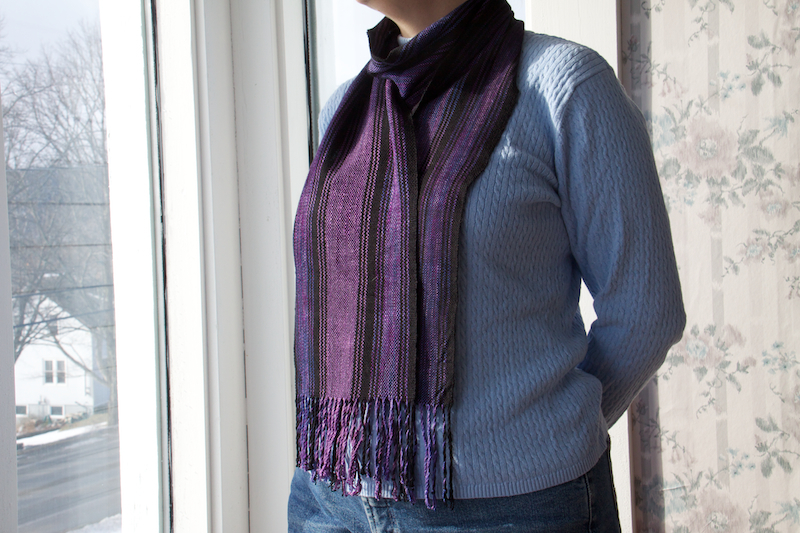 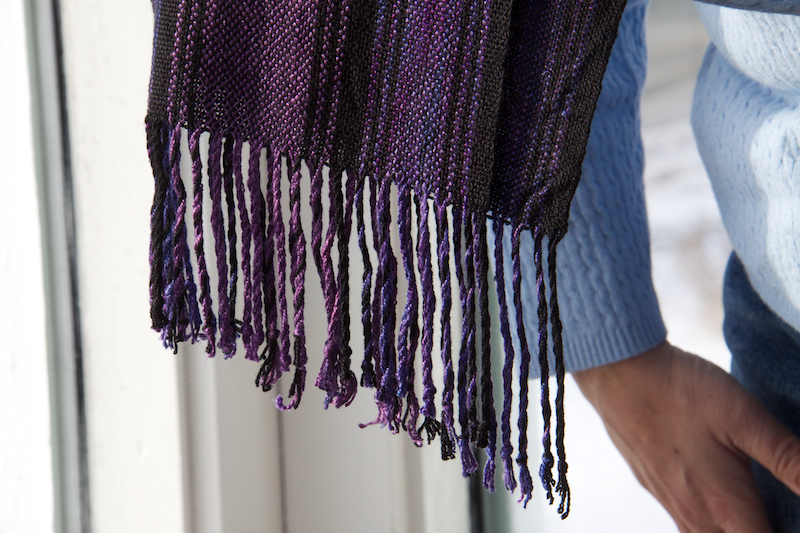 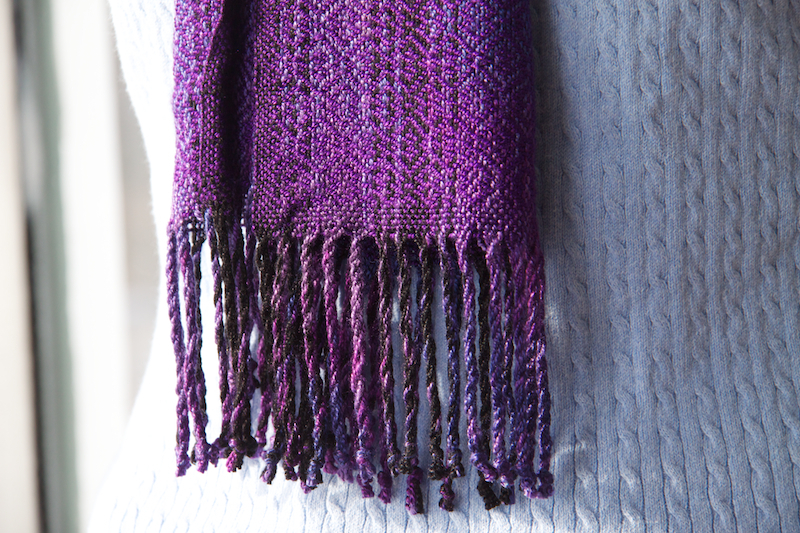 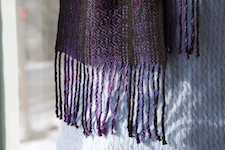 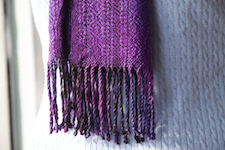 The scarves have 5" twisted fringes, and the centrepiece has a sewn edge and free (trimmed) fringe. 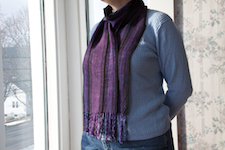 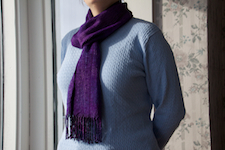 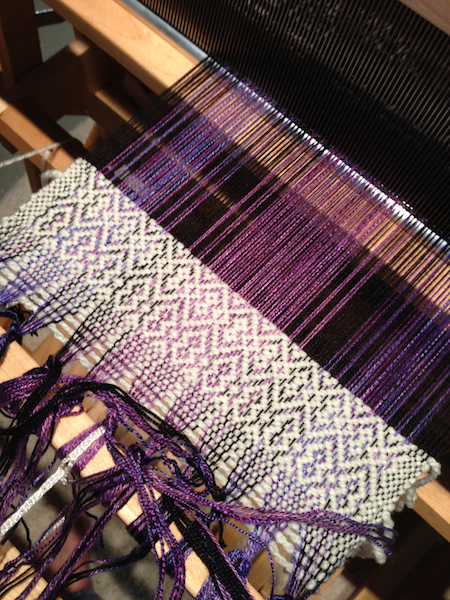 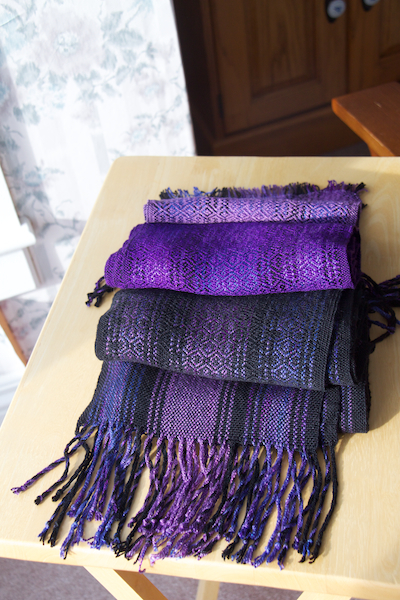 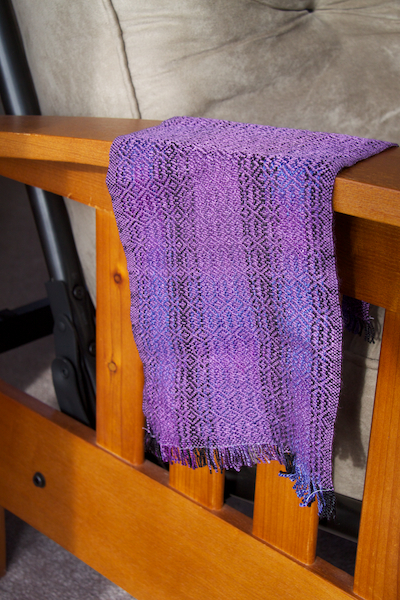 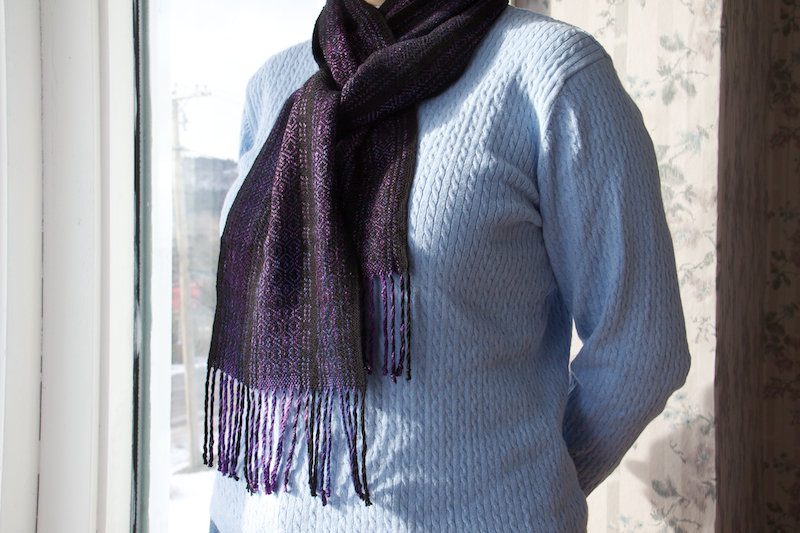 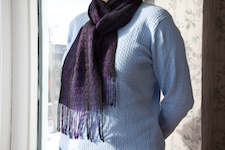 So -- on loom, the scarves were 9 2/3" (144 ends/15 epi) and woven to 75". 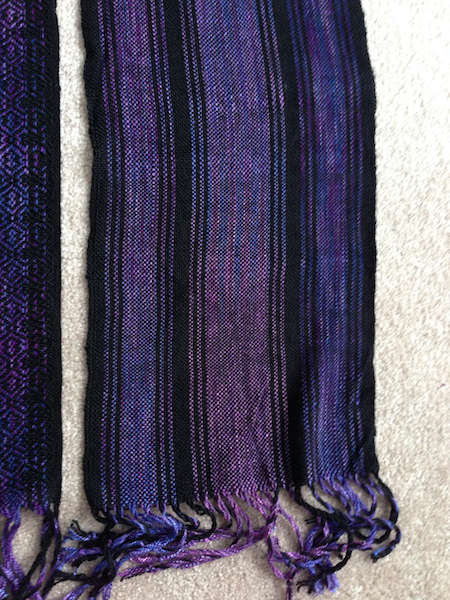 They came off the loom at approximately 8 1/2" x 73", and finished around 7 1/2" x 69". 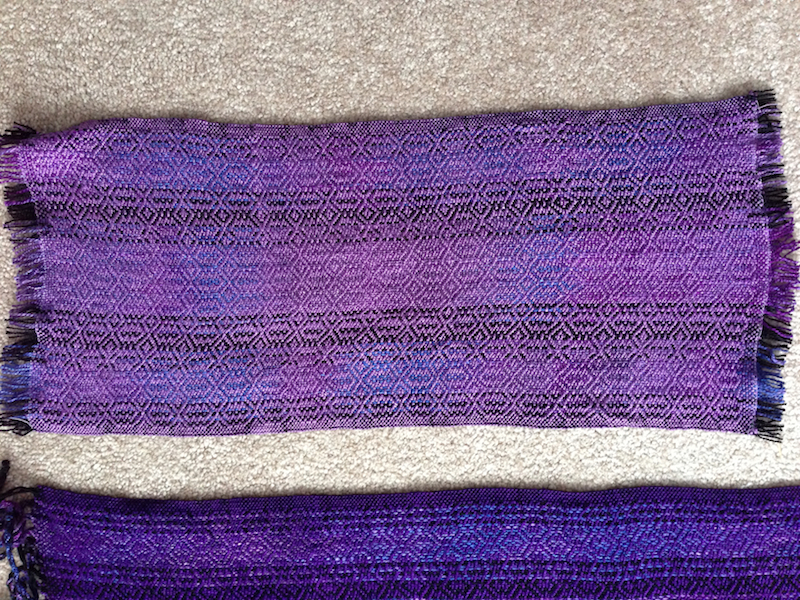 Left picture -- weaving with thick waste yarn to check the twill patterning (caught and fixed a threading error! 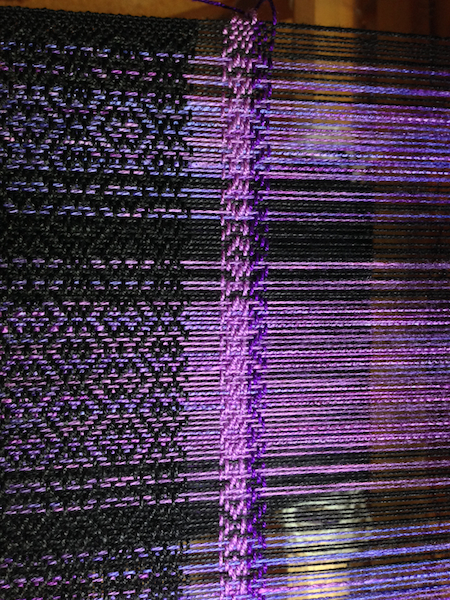 Had to use an emergency heddle). 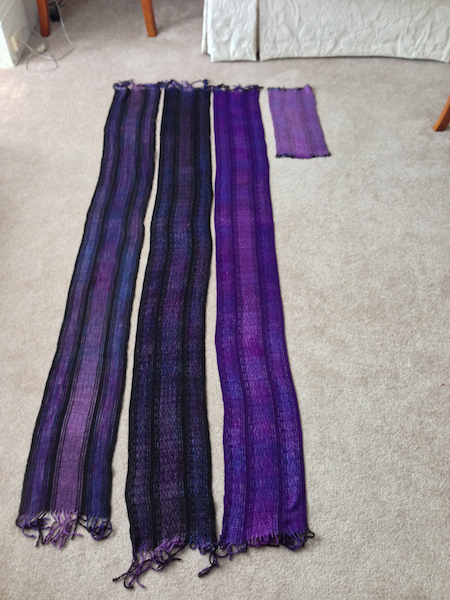 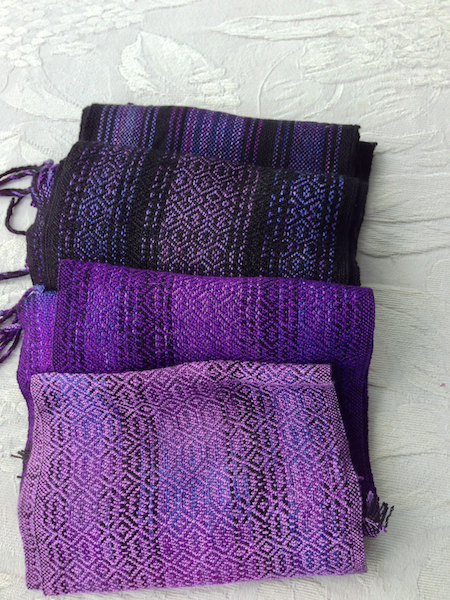 Right picture -- playing with pink and purple weft options prior to starting 3rd scarf. 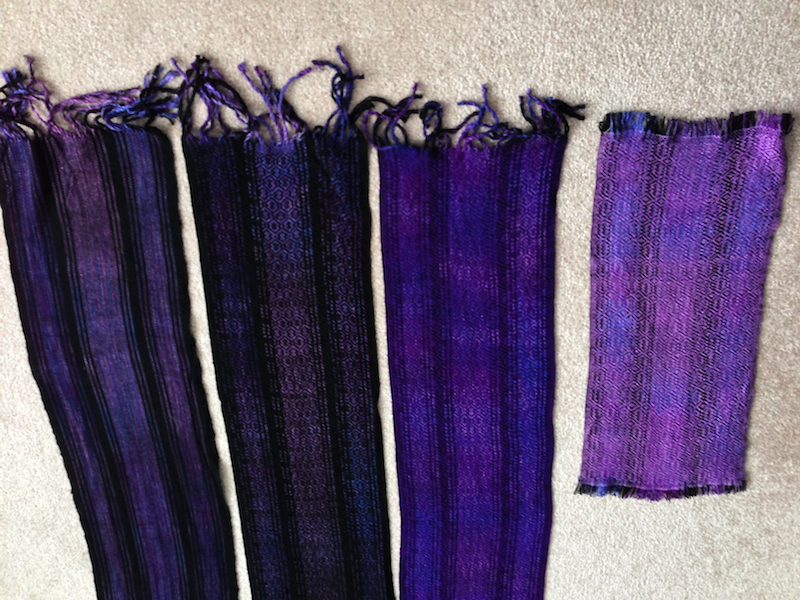 All together, washed and dried.